Product prices and availability are accurate as of 2019-04-25 10:46:07 EDT and are subject to change. Any price and availability information displayed on http://www.amazon.com/ at the time of purchase will apply to the purchase of this product. Why Grozon LED utility shop light? 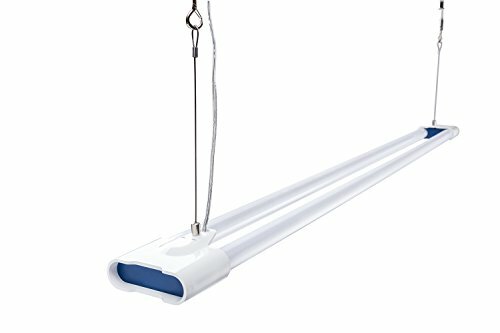 Grozon 32W LED utility shop light equivalent to 100/120W fluorescent light fixture, it save your electric bill over 65% against conventional lighting! The Advantages of Grozon LED utility shop light? 1. High luminous flux & High CRI, flicker free, no mercury, no UV, no intrared, soft light avoiding eyestrain. 2. 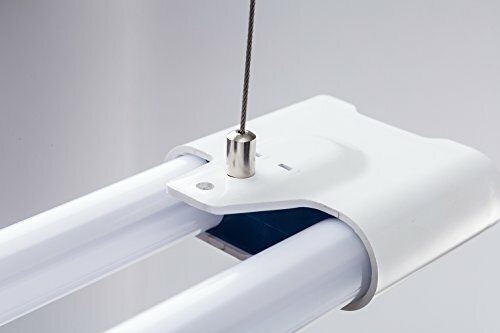 Unique design, to replace T8 tube fixture totally, no need to install tubes separately. 3. Compact Body, compact light body is suitable for office, garage, basement, workshop, classroom, parking lot, hospital, etc. Easy installation:All accessories for surface mounted & suspended & handing are included. Workshops, workstation, garage, basement, utility room, storage rooms, cabinet, closet, equipment rooms, office, classroom, parking lot, hospital, etc. 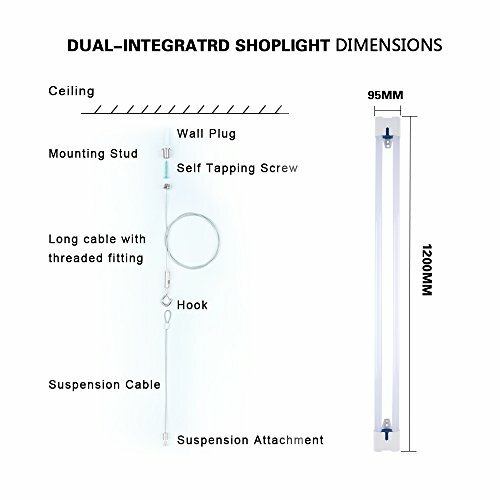 Box Includes: 1 x LED Shop light, 2 x 5ft suspension wires+S-hooks, 2 x mounting screws, 2 x suspension attachment. EASY INSTALLATION: surface mounted & suspended & handing. No wiring needed, plug and play, 5' plug-in power cord with switch. 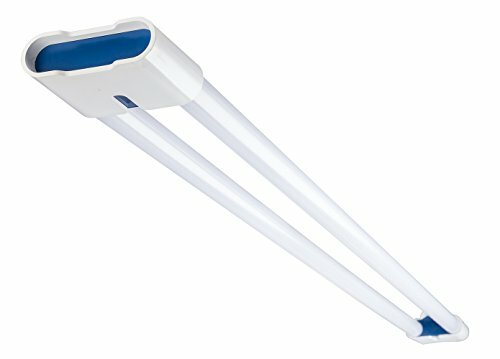 Unique design, to replace T8 tube fixture totally, no need to install tubes separately. SAVE 65% ENERGENCY: save your electric bill over 65% against conventional lighting, equivalent to 100W fluorescent light fixture. 50,000 HOURS LIFETIME: over 13 years with 10 hrs/day of use, flicker free, No mercury, No UV, No infrared or other deleterious radiation. COMPACT BODY&SUPER BRIGHT: 3200lm high brightness, suitable for workshops, workstation, garage, basement, utility room, storage rooms, cabinet, closet, equipment rooms, office, classroom. 5 YEARS WARRANTY: Grozon offers 5 years product warranty for your rights and benefits.